National Security Committee deputy chairman and Fidesz Vice-President Szilárd Németh (pictured) claimed Tuesday that Hungary’s secret services consider pre-election street riots a “serious risk,” and three opposition activists had been named specifically during a closed meeting of the commission. Németh warned that “foreign-funded organizations” and individuals aimed “expressly to participate in the disruption of Hungary’s internal order”. According to Németh, activists Gábor Vágó, Árpád Schilling and Márton Gulyás were named at the meeting as potential perpetrators of such actions, against which “the Hungarian authorities and services are prepared”. Németh claimed that the committee had specifically discussed the three activists during the meeting, and they were suspected of preparing to go onto the streets to conduct sit-ins and other acts of civil disobedience. Other members of the committee, however, said Hungary’s security and intelligence services had not provided any information to suggest that opposition forces were planning any such violent actions. The Common Country (Közös Ország) movement, founded by Gulyás, has in fact called for non-violent acts of civil disobedience if no vote to reform Hungary’s election system is held by October 23 in the National Assembly. The group opposes what it considers an undemocratic election procedure which gives Fidesz an unfair advantage. But Ádám Mirkóczki, far-right Jobbik party’s member on the National Security Committee, reiterated that no information exists to suggest organized attempts to disrupt Hungary’s constitutional order might take place in the autumn. According to Mirkóczki, such suggestions are simply meant to incite panic. Propaganda minister Antal Rogán, who recently warned of street riots organized by the political opposition in the autumn leading up to 2018 election, did not appear at the closed-door session where alleged plans for such public disturbances were discussed, reports Magyar Nemzet. Commission president Zsolt Molnár (Hungarian Socialist Party) emphasized that Rogán had declined to appear despite being invited to speak about his recent statements that “a hot autumn could be coming, organizations funded by Soros could cause riots”. Rogán claimed that “the action’s final goal is to bring down the southern border fence”, a claim committee president Molnár said Hungary’s secret and security services have no concrete information to substantiate. Politics Can Be Different (LMP) co-chair and member of the committee Bernadett Szél said “Antal Rogán is afraid to appear before the committee because he has something to fear”. 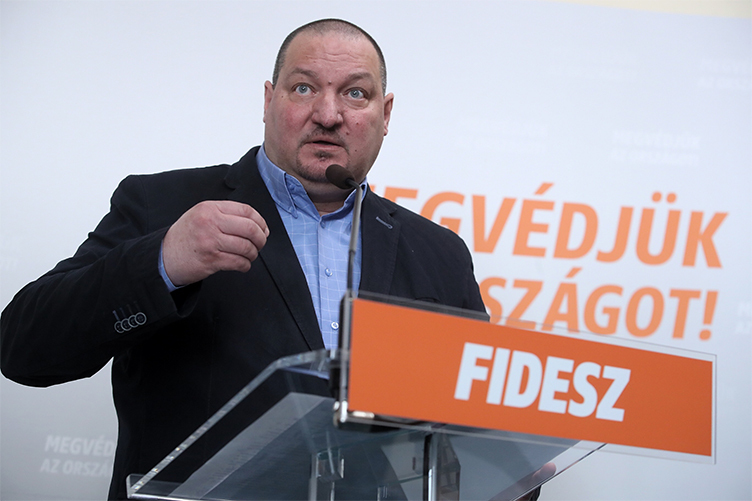 Szél called it “outrageous” that Rogan “doesn’t dare give an answer” before the committee concerning his allegations, and promised that he would receive some written questions from the committee.